Does Kidney Failure Cause High Potassium? Potassium is an important electrolyte that the body needs in several l hundred processes. Potassium is especially beneficial for proper muscle function. The heart is also a muscle. Therefore, the heart can not beat without potassium. However, excess potassium is detrimental to the body when the kidneys cannot clear the excess potassium. The body is very good at keeping potassium at adequate levels. However, there is a time such as in kidney disease, the potassium can become very high. Too much potassium in the body is dangerous. What Are High Potassium Symptoms? What Can Cause Kidney Disease or Kidney Failure? Potassium is an electrolyte that is extremely important. Research has shown that there is a relationship between adequate potassium intake and high blood pressure. Fifteen percent of all United States adults have chronic kidney disease. The Dietary Guidelines for Americans has concluded that potassium is a nutrient that is lacking in many Americans diet. 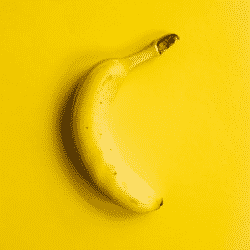 Potassium has been implicated in high blood pressure. Research has shown that a diet high in potassium will reduce high blood pressure. In fact, one of the reasons why the DASH work so well to reduce high blood pressure is because the DASH diet is high in potassium. However, if you have kidney disease you should not eat a diet high in potassium. When the blood pressure is lower, this also decreases your risk of stroke and coronary artery disease. Therefore, potassium is indirectly linked to the prevention of stroke and coronary artery disease. Evidence has also been suggested that adequate potassium prevents age-related bone loss and kidney stones. Potassium is extremely important, but too much can harm you, or even be fatal. 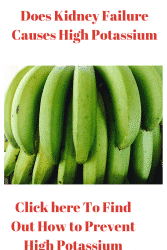 Kidney failure will indeed cause high potassium. Let me explain why. When a person has kidney failure, toxins are unable to clear the body completely. Normally if the person eats or takes in too much potassium, the kidneys will expel them. Injured kidneys cannot perform this process. Therefore, people with chronic kidney disease are prone to excess potassium and other electrolytes. The excess potassium is due to the decreased filtration of the fluid. It can also be due to decreased circulating aldosterone. Sometimes the body in all of its wisdom will try and adapt to the excess potassium by transferring more potassium into the cells. However, sometimes this defense mechanism is not enough, and you will experience high potassium symptoms. High potassium symptoms can very distressing. Hyperkalemia or high potassium is defined as a serum or plasma potassium level above the upper limits of normal, usually greater than 5.0 mEq/L to 5.5 mEq/L. In the Emergency Department setting, often time we will see patients who have kidney failure, or if they have skipped their required dialysis. These individuals will usually present with nausea, vomiting, and just feeling terrible. Sometimes they will present with swelling of the legs and palpitations. If the patient is a known dialysis patient, the patient will immediately be referred to the dialysis unit that is in the hospital. They will almost most likely be admitted to the hospital. 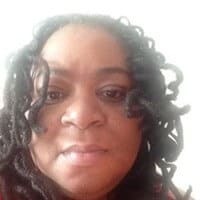 If the individual is not a known dialysis patient and they present with high potassium, there is always something going on with the patient that needs to be corrected. The healthcare providers will take a complete history of the patient including their diet, their medications, and their supplements. The provider will look for certain medications that are known to cause high potassium.Below are a list of medications that will cause high potassium levels. When the kidneys are damaged, they can not filter accurately. Two of the biggest causes of kidney failure are high blood pressure and diabetes. High blood pressure causes kidney failure because over time high blood pressure damages the arteries and veins of the kidneys. As a result, the kidneys are unable to filter toxins and electrolytes. Diabetes cause kidney failure because the vessels of the kidney are damaged because of the increased viscosity of the blood secondary to increased sugar in the blood. The kidneys can take a lot of insult and punishment. In fact, I have seen patients have to go on dialysis for a few weeks, and then the kidneys come back completely. Taking your blood pressure is on of the most important things you can do to protect your kidneys. 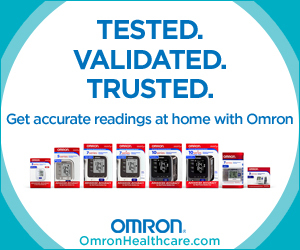 The Omron blood pressure monitors are excellent for monitoring your blood pressure whether it is everyday, weekly, or monthly. Also if you have diabetes, it is extremely important to monitor your blood sugar. If you are taking insulin, you should be taking your blood sugar daily. There are a plethora of glucometers available. Maintaining your weight and exercising are interventions that you can do to keep your kidneys healthy. 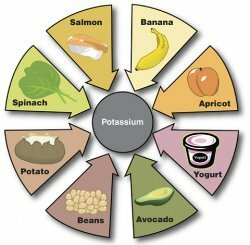 If you have chronic kidney disease or if you are on dialysis, you should be very careful with your potassium intake.